When it comes to sheer power, the Alienware 13 proves that size doesn't matter. As one of the smallest VR-ready systems available, the lightweight system makes a portable Oculus Rift and HTC Vive a reality. If that's not enough, the Alienware 13 is a stone-cold fox, with its slimmed-down dimensions and a supervivid OLED display that's sure to attract a fair number of onlookers. You also get a cushy keyboard that is perfect for typing reports or dishing out digital doom, an impressive audio system and respectable transfer speeds. The Alienware 13’s thick, heavy design doesn’t support a system sold in its price tier, and the most important component – the GPU – is the same in every model. You’re getting a GTX 1060 no matter how much you spend. With an OLED touch display, VR-ready graphics, and a reasonably portable 13-inch body, the new Alienware 13 hits almost every item on my gaming laptop wish list. We tossed a few runs of Gears Of War 4 over resolution just for kicks and the Alienware 13 kicked it up a notch there too, with 60 fps performance at High image quality settings at a 1080p resolution. Incidentally, the machine also scored a 7.1 on the SteamVR performance test, showing it was also "VR Ready." Stay tuned in the days ahead as we step through the rest of the design, software and benchmark details of the Alienware 13 R3. For now, we're going back to work, gaming. It's a dirty job but someone has to do it. The Alienware 13 R3 OLED offers VR-ready power in a leaner, redesigned chassis with a showstopping OLED display. 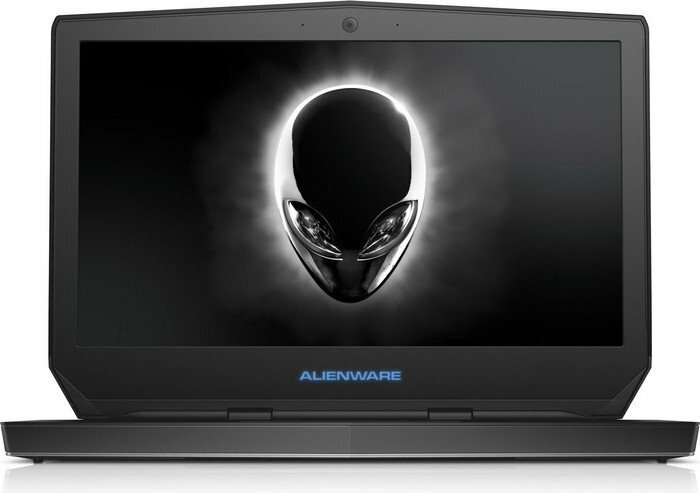 It's a little tough, at the moment, to judge the Alienware 13's value compared to its competition, because when we wrote this, there were no other 13-inch, GTX 1060-based gaming laptops available (at least that we could find on Newegg.com). There was a 14-inch Aorus X3 Plus v6-PC3K4D with GTX 1060 graphics ready for pre-order when we wrote this. It purports to sport a higher-resolution (3,800x1,800-pixel) screen, and it is priced at $100 less. But that high-resolution screen is a poor fit for the abilities of the GTX 1060 graphics. We'd gladly pay $100 more for the privilege of gaming (and working) on the gorgeous OLED screen of the Alienware 13. If you're not put off by its screen size, Alienware 13 packs a lot into its small frame: VR capability, a beautiful QHD touch-screen display, ample ports, good battery life, smooth gameplay, and high build quality. It's heavier and less sleek than the Razer Blade, but the Alienware's superior Pascal-based graphics, portability, and competitive price earn it our Editors' Choice award for ultraportable gaming laptops. Positive: High gaming performance; solid workmanship; metal case; good cooling system; excellent display. Positive: Compact size; good hardware; excellent display. 78.83%: This rating is not convincing. The laptop is evaluated below average, this is not really a recommendation for purchase.